If you’re not currently using your garage to store your car, you may be missing out on some of the great benefits that can only come from keeping your car in a garage versus keeping it in your driveway or out on the street. If you’re unable to use your garage to store your car thanks to a broken garage door or garage door opener, call the garage door experts in Indianapolis at Garage Door Doctor today. If you’re not sure if keeping your car in a garage is worth it, keep reading to find out why it might actually be beneficial for your car. #1.The exterior of your car will be better protected. While it’s true that you car is meant to be driven, and you do have to take your car out into the real world most days, there are quite a few instances where you don’t have to drive your car at all. On the days you’re spending time at home, when you’re gone for a while on vacation, or when you’re in for the night, keeping your car in a garage will ensure that it’s protected from the elements such as sun exposure, wind, rain, and snow. Not to mention, you won’t have to worry about the potential of dings and scrapes from debris and passerbys that are likely to come into contact with your car. #2. Your car will face less of a risk for theft or vandalism. If your car is left outside, especially over night, your car could be at more of a risk for theft or vandalism. It is not uncommon for cars to be broken into in the middle of the night, have eggs thrown at them, or even be keyed if people happen to be out looking for trouble. If you happen to forget to lock your car doors or leave your windows rolled down, people who are looking to steal things from cars often look for cars that are easy to get into. #3. Your car’s engine will run better. Keeping your care stored inside versus outside often aids in keeping your engine better lubricated. 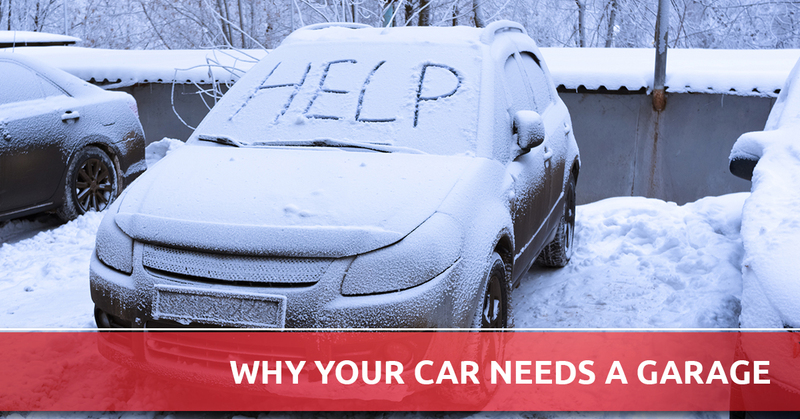 When a car is stored in a garage, it’s likely not going to get as cold, which will help to keep your car’s liquids at a more stable temperature. Your car’s coolant will also stay warmer so it’s easier to heat up or cool down your car with the heat or AC. You may not have thought that not being able to use your garage to store your car was that big of a deal, but keeping your car in a garage really is better not only for your car, but also for you as the owner, especially since cars are often an expensive investment. If you need your garage door or garage door opener repaired or replaced in order to be able to use your garage again, call us here at Garage Door Doctor for the garage door services you need for your Indianapolis home.